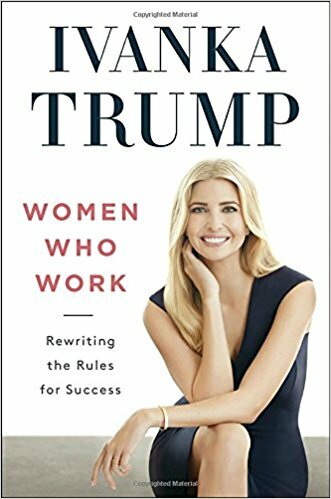 A peppy book of advice for wealthy women on how they can succeed in life and business, from the First Daughter and Advisor to the last ever President of the United States. ...the book is not really offensive so much as witlessly derivative, endlessly recapitulating the wisdom of other, canonical self-help and business books ... And because Ivanka alone can fix our problems, she opens her book with a pasture full of straw men, including the argument that our culture isn’t having nuanced conversations about working mothers ... The book is manifestly the descendant of many TED talks and lifestyle websites. It’s perfect for a generation weaned on Pinterest and goop.com ... This is the sort of feminism that drives some women bananas, having less to do with structural change than individual fulfillment and accessorizing properly; perhaps it can even be achieved by wearing her fine jewelry or apparel, which she repeatedly mentions throughout the book (as well as her family’s tremendous hotels). There’s certainly a market for it. There’s also family precedent for it. 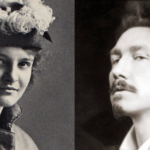 Her father nearly annihilated his millions, and went on to write many successful business books. Why not Ivanka? It’s a sign of how perilous and debased American life has become that people are putting faith in Ivanka Trump, creator of a line of mediocre synthetic workwear, to head off fascism ... Ivanka makes [Sheryl] Sandberg look like Rosa Luxemburg ... As vapid as Women Who Work is—and it is really vapid—there is a subtle political current running through it, one that helps explains how the socially liberal Ivanka can work for her misogynist ogre of a father. Beneath the inspirational quotes from Oprah and the Dalai Lama and the you-go-girl cheerleading, the message of Women Who Work is that people get what they deserve ... Her refusal to acknowledge any contradiction between her feminism, however superficial it is, and her father’s reactionary politics almost feels like gaslighting. Women Who Work is a sea of blandities, an extension of that 2014 commercial seeded with ideas lifted from various well-known self-help authors. Reading it feels like eating scented cotton balls ... a long simper of a book, full of advice so anodyne, you could almost scramble the sentences and come out with something just as coherent ... Over and over again, Trump's message is: Take whatever you can get, and then print your name on it. What did you think of Women Who Work: Rewriting the Rules for Success?